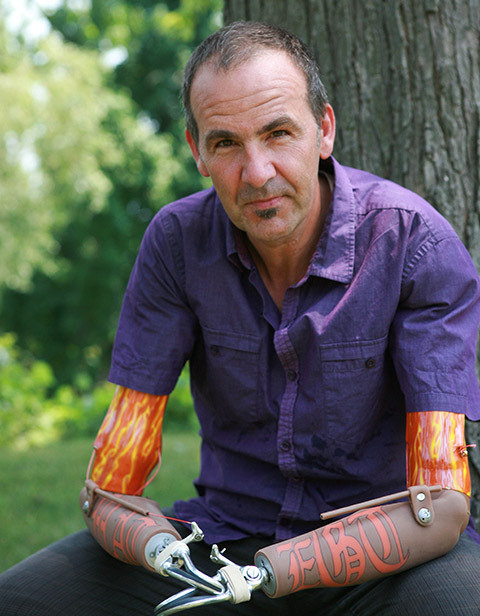 With more than 225,000 amputees in Canada (source: The War Amps of Canada), a consumer magazine of our own is long overdue. 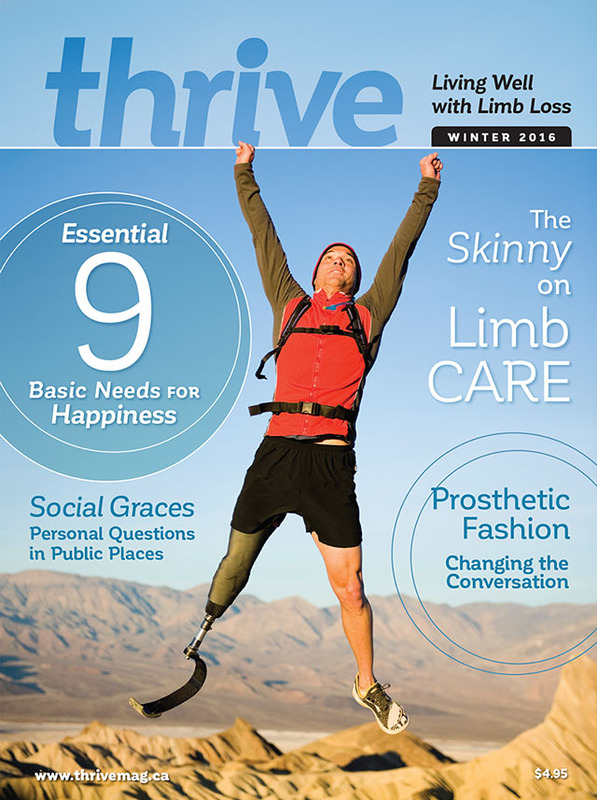 Enter thrive, a publication dedicated to the pursuit of living well with limb loss, a venue for peer and professional support, a launch pad for consumer advocacy and a social media conversation starter. thrive is much more than a magazine... it’s a bond of popular media – print, online and social networking. It’s about industry partnerships that will provide those with limb loss with a first-rate resource for living well physically, emotionally and socially... to grow and to flourish. Disability Today Publishing Group, a disability community pioneer and leader for over 25 years, is known for its quality publications, and compelling editorial. The publisher of Alignment for Orthotics Prosthetics Canada, and a host of in-house magazine and book titles, the media firm is led by Jeff Tiessen, an amputee of nearly 40 years. Tiessen, a three-time Paralympian and world record holder, award-winning journalist and Canadian Disability Hall of Fame inductee, is a respected advocate and keenly aware of the informational needs of Canadians with limb loss through personal experience and a vast network of amputees, O&P practitioners and industry partners. Subscribe to thrive. 1 Year Subscription (3 issues) only $10.00!